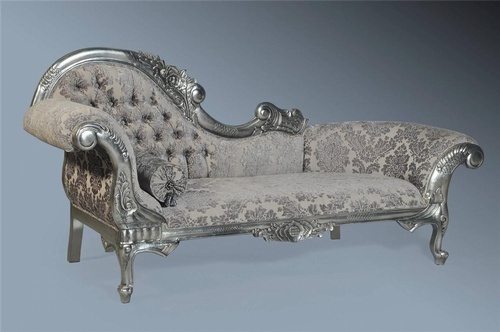 Our stunning Rococo Flower Carved Chaise Longue offers the epitome of luxury. 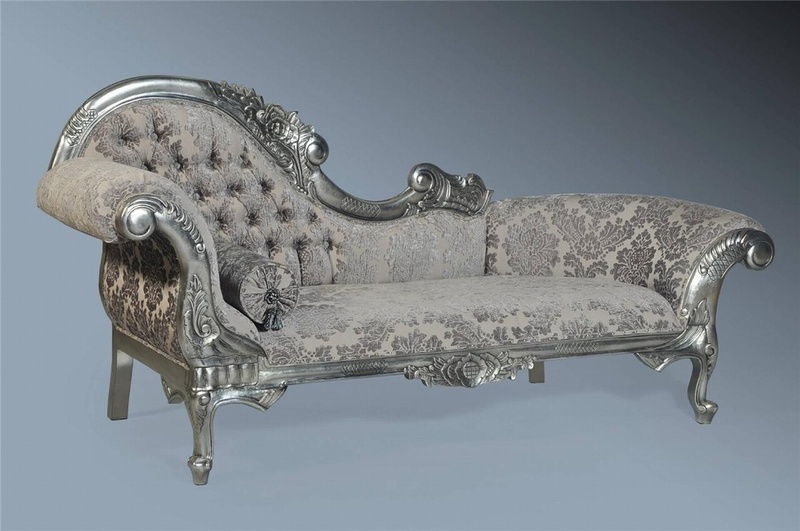 Complete with elaborate decoration and intricate carvings, extravagantly gilded in silver leaf that's been subtly antiqued. 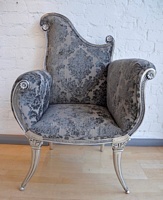 The chaise is not only a statement piece but very comfortable too, with it's deep push buttoned back which has been beautifully upholstered in a grey damask velvet, complimented with chrome upholstery studs for that extra added quality and finishing touch. 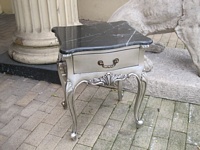 Would add a touch of French charm to any home. Stock: IN STOCK - Free Delivery To Mainland UK Within 14 Working Days. Comes with Roll Tassel Cushion. 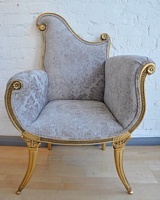 Available in a Left or Right Hand High Back Rest. & Walnut Kissed In Gold Leaf.